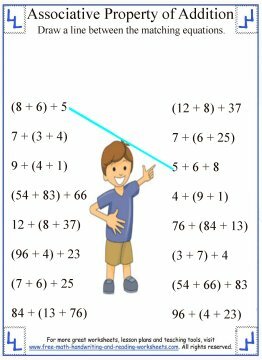 The Associative Property of Addition is one of four basic properties that students will learn in early addition lessons and use later in multiplication and pre-algebra. 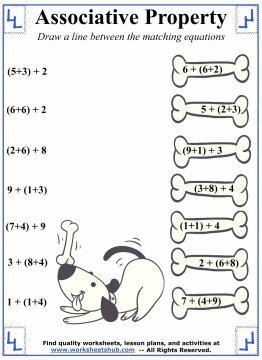 The properties include the commutative, identity, and distributive properties--all of which I cover in other math lessons. You can learn more about each property using the links at the bottom of this page. 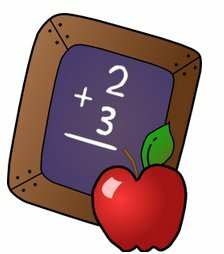 The associative property simply states that when three or more numbers are added, the sum is the same regardless of which numbers are added together first. Or simply put--it doesn't matter what order you add in. To better understand this property, print out the math worksheets below. Each paper presents the information in a slightly different way. Each sheet has instructions on it that should be enough to get you started. If you need help, I've included more details further down. The first worksheet has ten problems. Each problem has two equations. 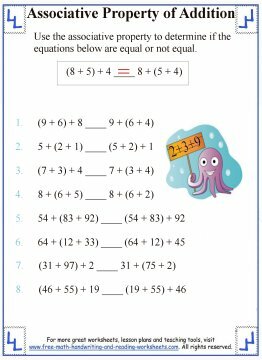 The student needs to determine whether the two equations are the same (i.e. equal). Your child doesn't need to solve the problems to see if they are equal. He or she only needs to use the associative property to figure it out. Of course, you could always have them solve the problems when they are done to check their work. 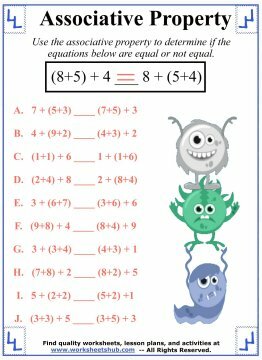 Update: The first worksheet has been one of my most popular pins on Pinterest so I created a couple more papers just like it. The 4th print-out is similar. There are equations on the left and the right side of the paper. Your child needs to draw a line from a problem on the left to its equivalent on the right. 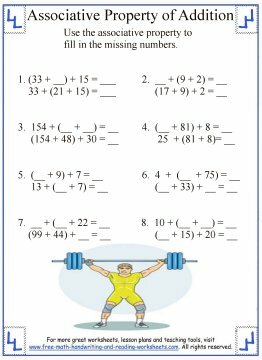 This has been another highly pinned worksheet so I created a second one just like it for more practice. The final printable is a bit trickier. 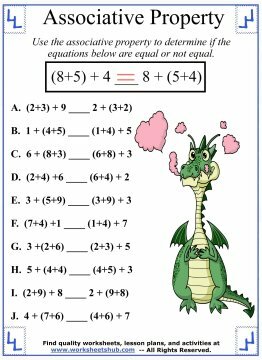 Your child will have to fill in the missing blanks using the associative property to create two equal problems and then solve both.